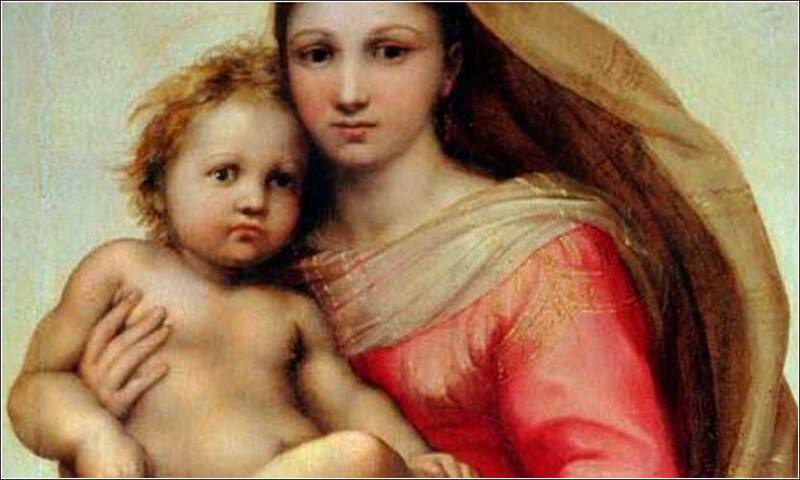 The Sistine Madonna (detail) by Raphael, ca. 1514. 221 people in our community are currently praying with you. Here’s something truly beautiful for us, this Sunday. 3. I am a child of God. I'll live with him once more. 4. I am a child of God. If I can but endure. In utter humility, before the great multitude of heavenly witnesses, I come before you this morning, Eternal Spirit of God, to offer myself, my soul and body to you. I live in awe of your purity, your justice, and the power of your love. You are the strength and light of my soul, for without you I have neither life nor goodness. I desire never to grieve you by unfaithfulness, and I pray with all my heart to be kept from the smallest sin against you. The Almighty Lord, who is a strong tower to all those who put their trust in him, to whom all things in heaven, in earth, and under the earth, do bow and obey; Be now and evermore my defense; and make me know and feel, that there is no other Name under heaven given to man, in whom, and through whom, I may receive health and salvation, but only the Name of our Lord Jesus Christ. I pray that the God of our Lord Jesus Christ, the Father of glory, may give you a spirit of wisdom and revelation as you come to know him, so that, with the eyes of your heart enlightened, you may know what is the hope to which he has called you, what are the riches of his glorious inheritance among the saints, and what is the immeasurable greatness of his power for us who believe, according to the working of his great power. God put this power to work in Christ when he raised him from the dead and seated him at his right hand in the heavenly places, far above all rule and authority and power and dominion, and above every name that is named, not only in this age but also in the age to come. And he has put all things under his feet and has made him the head over all things for the church, which is his body, the fullness of him who fills all in all. In the first part, Paul prays that we will receive the spirit of wisdom. By our prayer and faith, we are to know some things that we didn't know before. First, hope; we will fully know hope, a hope for something wonderful that will actually come true. Second, the riches of his inheritance. Christ bequeathed to us a great treasure. Imagine that you have received a billion dollars from a distant uncle; the inheritance that Christ left for us is even better, because a billion dollars cannot buy eternal life, and cannot buy the hope and joy that Christ brings. Third, knowledge of his power. Understanding and accepting the power of Christ is essential to us. This is not the power that the secular world touts and the media find so fascinating, the power of one person to force other people to do his will. It is the power to motivate the human heart to good. Christ shows his power on earth every day. It is mostly ignored, because Christ's power so often benefits the poor, the powerless, those the public wants to forget exist. Imagine ABC News, every night, showing a Nigerian child who has gotten a meal because one of Christ's saints, impelled by the spirit and knowledge of Christ, has fed him. If they gave every such child the amount of coverage they give Kim Kardashian, they would fill a thousand channels with praise of Christ's power on earth. And on the rare news segment where the media do show charity at work, they do not ascribe it to Christ. They simply cannot accept that it is Christ and the Holy Spirit working through men and women; they ascribe it to some inherent goodness in mankind. But where were these actions before Christ lived? They existed only in sporadic instances and usually only to relatives or members of the same tribe. If you doubt the power of Christ in the attitude of charity towards our fellow men, you need only to look at what happens when such charity is completely divorced from God. Both Russia and China adopted a philosophy whose primary tenets were the equal treatment of all people and the enforcement of absolute atheism. They represented the ultimate total secularization of charity. And in both cases, the result was the murder and starvation of tens of millions of people, and the terrorized misery of hundreds of millions. James 4:11 (ESV): Do not speak evil against one another, brothers and sisters. There is only one lawgiver and judge, he who is able to save and to destroy. But who are you to judge your neighbor?